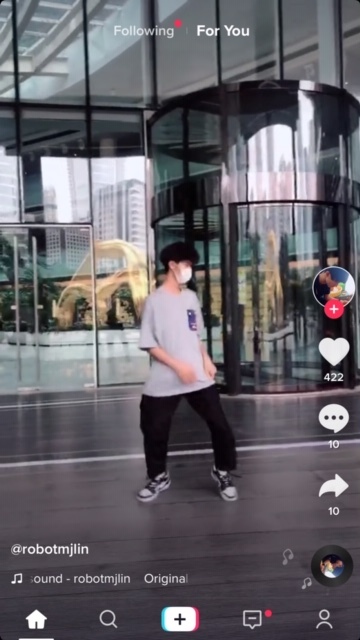 TikTok, the short-form video app owned by Chinese company ByteDance, is already bigger than SnapChat and Twitter and it’s no longer just for tweens. The format is engaging, entertaining, and addictive to the point that it makes the western king of visual content Instagram fall flat on user experience. The platform offers open space for brands to engage younger audiences in the short-term, and a wider base as the channel inevitably surges in popularity. Safe it to say that the app is already globally popular having already surpassed over one billion downloads globally, according to TechCrunch. The higher level of creativity required to produce TikTok content is both a challenge and opportunity for travel brands. Biddable ads are also coming. The company will be rolling out various properties in coming quarters. Secure TikTok usernames ASAP. Dedicate staff to become TikTok subject matter experts. Start experimenting with hashtags and creative content formats. Use our Meme Archetype Guide below as a framework for coming up with interesting content that will resonate. For air and hospitality; assign dedicated staff and let them run free to create content about work-life shenanigans going on behind the scenes. Keep it clean. For destinations: Work with influencers. Pay them extra to wear branded clothing in their posts. Kill two birds with one stone; consider pushing out at least some of your Instagram Stories content through TikTok. No need to duplicate efforts and this will position your brand as forward thinking with younger audiences. TikTok is all video, no stills, and pure entertainment value. The tag line is “real short videos” and it’s all about lite-hearted creative and often humorous content that pulls at different heartstrings of the user. TikTok smartly incorporates music to generate viral memes and challenges that catch on globally. The experience is similar to what the prematurely discontinued app Vine (for those that remember the meme building app) had done - but on steroids. The key difference is that it makes content creation quite easy. Music, sound, and integrated rhythm into the videos is the key differentiator and core to the user experience. Music is ingrained into the human DNA hence it makes intuitive and fundamental sense that social media should incorporate music as baseline for user experience. Where other social media platforms had succeeded with imagery, they have failed with harmony. Instagram will struggle to emulate the new format due ad format commitments with advertisers. TikTok has also nailed it on content discovery. Upon opening the app, users are brought to the “For You” page which swipes up to reveal seemingly random content that gets smarter and more personalized over time. Compared to Instagram, TikTok is geared toward new content rather than followers, at least during these earlier stages of the app’s evolution. The search feature is organized into Users, Sounds, and Hashtags. There is a messaging feature; and QR code follow me option for in-the-face connects. TikTok remains an app for younger audiences but the general sense is that this will change. The app recently added an age appropriateness filter that serves up content according to age. Over 40 percent of users are under the age of 24. The minimum member age is thirteen. In other words, TikTok is a great complement for brand awareness campaigns targeting younger audiences. See other useful stats. And more stats here. Top-level travel, tourism, and hospitality brands should take TikTok seriously in light of its freshness and young captive audience. Users are posting hash-tagged content referencing big hotel brands. For example, #jwmarriott has already received 1.6m views. As of March 20th 2019, #hilton has received 3.2 million views. Note, these hashtags are user-generated and not branded. One paid format on the platform is the hashtag challenge (see Ads section). The point here is that creators are already posting content that calls out hotel brands in the hashtags. To date, we have not seen any major travel brand with formal presence on the platform. Other lifestyle brands like Redbull and PGA golf have proactively amassed big followings. TikTok’s sweeping global appeal, particularly in Asia makes it a requisite for hotel chains hungry for the opportunity that this region presents. Click on image. Don’t miss these relevant usage statistics. At first glance it may seem overwhelming and a lot of effort to create compelling content. It’s different from Instagram but the app’s features and filters including special effects and a wide selection of licensed music makes it easy to create new content. Whether the content becomes the next big hit is another question. The music element actually makes it relatively effortless because it makes an otherwise dull moment appear entertaining. Compared to Stories on Instagram or Facebook, the short-form content is not ephemeral and hashtags are a big part of how users interact with the app. This means that content created keeps on giving, if not for engagement then for profile, since much of what social media is all about is curation. See share options. Straight to stories. We cannot stress this point enough. What appears on the other end on Instagram is an exact duplicate of the content + a water mark baring the TikTok logo. this does many things. It means that you only need to create content on one instead of two platforms. It also means that your interacting with your Instagram base and letting them know that you’re on TikTok, which has great brand presence compared to other current social media channels. What seems like complete randomness is actually quite structured in terms of the content that appears in the “For You” feed. TikTok has an internal algorithm it uses to serve up relevant content and while it is shrouded in secrecy, it probably follows some of these similar dimensions, in addition to basic demographics of the user. The short video feed format is a perfect hook for today’s distracted mind in terms of screen addiction. Time spend in-app is much higher compared to other channels. The iterative nature i.e. one 10-minute session could expose the user to 200 clips of content, assuming an average skip rate of 3 seconds per clip. We manually reviewed 3,200 bits of TikTok content to understand the pervasive patterns and repetitive formats. Our analysis points to 19 reoccurring meme archetypes that you can use as a guide for your content development efforts. Roughly 20 percent of our sample did not fit into any of these categories. Will these change over time? Most definitely, which is good news because it gives creators an opportunity to develop new viral content. How? Because (at least we think) next generation memes form as a resulting combination of two existing memes. Use the following guide to come up with your own ideas for new content. Take two archetypes and mash them together. For example: Take the Saucy Pose and combine it with the Food Challenge. What do you get? Five fit men wearing expensive suits competing in a hot dog eating contest. The key to going viral is creating the next meme. Often times mother and daughter teams taking on challenges and popular dances together. Three or more friends breaking down a coordinated dance. Back flips, sports, surfing, parkour, motocross, etc. these can be either comedic or serious, displays of effortlessness, strength, grace, balance. Break dancing, moon walks, jigs, shuffles, etc. Endearing, saddening, nostalgic, comedic goofs etc. Put into context of normal situations. Individuals or groups drop what they’re doing, on cue, and execute a popular dance or motion. Usually comedic. Step by step instructional break downs of popular dances with added flare or animations. The intent is to entertain through explanation. Enabled split-screen where creator looks on with wonder or attempts to mimic a popular clip. Either serious or comedic. Serious versions attempt to emulate. Comedic versions poke fun and creator’s admiration and total inability to replicate an other complex maneuver. Vocal explanations with visual cues focused on communicating knowledge. Language learning, or cooking tips - for instance. Repetitive processes either mechanical or creative. Manufacturing, drawing, painting, joining, pulling, etc. These tell a common human story e.g. falling in love, betrayal, the road to heartbreak. First person perspective usually with the creator interacting with others by enacting some sort of endearing gesture. Challenges that pit two or more individuals in direct conflict with one another. Put your phone in a blender. Two equals execute on a dance or popular set of gestures. Jumping at each other to invoke action on behalf of the other party. Slurping up noodles or hot dog eating. People like Arnold Schwartzenegger or Mr. Bean doing what they do best. Look good for the camera. This is your basic “I’m gorgeous” hence you should like it reel. In the past, Facebook Inc. has copied other popular social media formats. Last November, it quietly launched Lasso, a potential competitor to TikTok. For a minute, it seemed like FB would obviate then Musical.ly, as it did with SnapChat when it copied its now widely used ephemeral stories format. The Lasso program has however since gone silent. Building a competitor brand from the ground up will prove much more difficult for Facebook and incorporating similar features into its existing channels is not likely an option. Should you run out and ditch Instagram all together? Of course not, although we believe that TikTok and other similar apps will most likely break open Facebook’s long-held dominance over social media. China’s digital players’ ability to innovate on format comes down to numbers and data. With a population of over 1.4 billion people, many of which are single-child households completely addicted to social media, China is the world’s biggest test bed for innovation and potentially global brands and apps. The long-held belief that China cannot innovate original ideas is no longer true. TikTok is a prime example of that. TikTok is known in China as Douyin, which literally means “shaking sound” in Chinese. While parent company ByteDance has attempted to brand the two as one in the same, they are two completely different entities. Nevertheless, Douyin quickly exploded after launching in 2014. It amassed over 100 million downloads just one year in and became the second most downloaded app in the Chinese apple store, according to What’s on Weibo. This further demonstrates how China’s dominance over social media could be very well secured. Instagram’s push into e-commerce. Strength or weakness? Both Facebook and Instagram now have real competition coming out of China. Instagram’s recent move into e-commerce made headlines but to a greater degree, moving into e-commerce is more of a defensive tactic rather than a signal of the company’s rise or evolution. Particularly when we put this within the context of TikTok’s meteoric growth and addictive format. The fundamental premise and challenge with Shop On Instagram is that it’s an attempt to monetize its traffic in a unique way. But what happens when engagement runs flat? We shall see. We touched on this from a content marketing strategy perspective, and now reiterate here within the context of market competitiveness, to understand the savvy abilities of these new players now coming into view. The designers over at TikTok brilliantly facilitated sharing of its content across a multitude of different channels including Instagram. Anything shared on Instagram conspicuously bares the TikTok watermark. This has likely been important in helping to spread the TikTok brand. Some had assumed that WeChat would have originated the first Chinese social media app to make waves in western markets. Here we see two digital display ads in London, England which both appeared on the same billboard consecutively. Here we see the big difference in brand message and overall vibe between Facebook and TikTok. With this advertisment, FB is clearly putting up a defensive position and a charm campaign aimed at establishing itself as a socially responsible brand. TikTok is sitting high keeping it easy and empowering the consumer to take charge of their own creativity, and that TikTok is the platform to help her do that. Facebook Inc has a real competitor coming out of China. Social media is moving further towards the entertainment spectrum rather than a connectivity channel. Chat apps are taking up the networking portion of social. TikTok is hot but it’s very likely that we will see new competitors emerge and at a faster cycle than what had happened in the last decade. What are the implications for brand marketers? Know your customer.